A New Lease for Life? 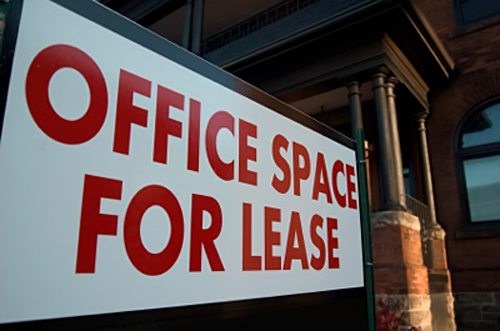 From rent reviews to repairs, there are many pitfalls to avoid when signing your commercial leases. This article was published in the Sunday Business Post on 26 April 2015. As the economy recovers, growth in the commercial property market has continued, with office take-up in urban areas expected to keep growing towards year end. Clair Cassidy sets out key clauses that tenants should be aware of when entering into a lease. “Prospective tenants need to ensure they are fully informed of the extent of the service charge provisions in their lease,” said Cassidy. “Service charge provisions have become increasingly complex and can be comprised of various different elements. Generally speaking, the more recently built, and larger an office block, shopping centre or mixed use development is, the more likely it is the associated leases will contain very detailed and financially onerous service charge covenants. Such provisions differ greatly from, for example, an office in a multi tenanted Georgian building where the service charge obligations are reasonably straightforward and transparent. Rent – the amount, how it is calculated and when it is paid – is the first key consideration. Rent can be a fixed amount or may be calculated as a percentage of turnover, as is happening more and more in the retail sector, particularly for units in large shopping centres. It is vital that the tenant fully understands the way that rent will be calculated further to a turnover rent provision. “indexation-based review” where the rent is reviewed in accordance with the increase or decrease of a pre-determined index (often the Consumer Price Index). Repair clauses can be extremely onerous, particularly in full repairing and insuring leases (FRI Leases). FRI leases, commonly used for longer term tenancies, relieve the landlord of all liability for the cost of insurance and repairs. It is crucial for the prospective tenant to carefully review the wording of the repair clause, as the landlord can insert an obligation for the tenant to “put” the property into good repair. This means that regardless of the condition of the property when the tenant moves in, the tenant will be obliged to completely repair the premises to a high standard at their own expense. An effective way to limit the extent of repair is to include a Schedule of Condition in the lease which sets out the condition of the premises on commencement. A schedule can be drawn up by a surveyor and can be photographic. The schedule is made at the tenant's expense. Break clauses were used by tenants in recent years as a tool to negotiate a reduced rent and agree better terms with the landlord. Given the increase in urban market rents, these clauses could soon become much less valuable to tenants. In addition, most break clauses contain stringent conditions (including strict notice periods) which a tenant will have to follow to ensure certainty in effecting the break. Tenants should therefore review the break clause very carefully to make certain that they will be in a position to comply with the conditions if such a break is required in future. Alienation – a tenant’s rights to assign or sublet the premises – is normally restricted under the lease, to be permitted only with the landlord’s prior consent. The landlord cannot impose a total ban on assignment and ordinarily wording will be included to the effect that the landlord’s consent cannot be unreasonably withheld or delayed. It is important for the tenant to carefully review this clause to make sure that the conditions for granting the landlord’s consent are not too demanding. The landlord will invariably include a clause providing that if the tenant breaches any of the covenants, the landlord can terminate the lease. Usually the landlord will have to give notice and allow the tenant an opportunity to remedy the breach before moving to bring a court application for termination. An exception to this notice occurs in circumstances where the breach complained of is failure to pay rent. The landlord will normally include a clause allowing for “peaceful re-entry”, that is, taking back the premises and changing the locks, if the tenant does not pay its rent within the time period specified in the lease.